Paul Mitchell's Super Charged Treatment is an ultra-rich formula developed to replenish and rejuvenate dry, dehydrated and damaged hair. 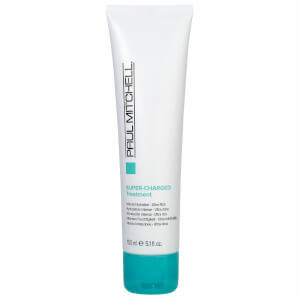 Providing intense hydration, the moisturising treatment contains a blend of Panthenol, Soy Proteins and Vitamin E to expertly hydrate and protect; it effectively improves moisture, shine and elasticity while enhancing manageability. Dry, wanting hair is left looking healthy and restored.